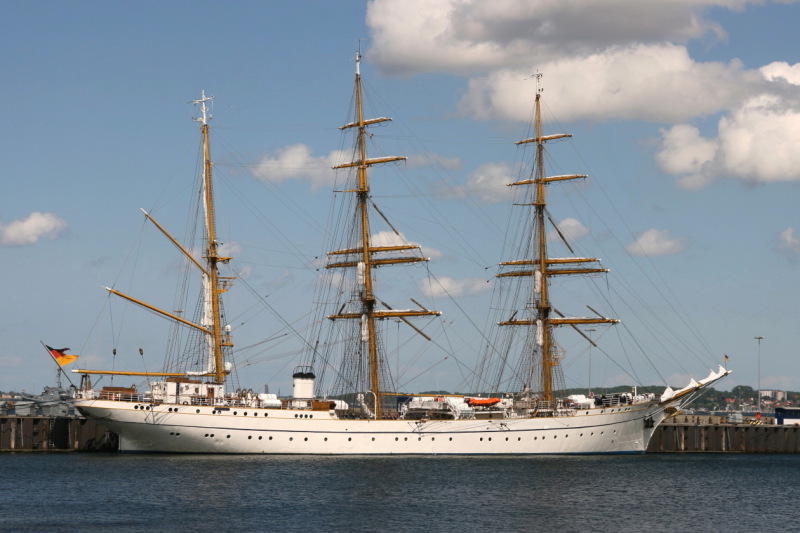 Hutton’s had the honour of supplying the German Navy’s sail training ship, FGS Gorch Fock, when it sailed into Dartmouth for a five-day visit. The visit was part of a longstanding twinning arrangement between the German Naval Academy, Marineschule Murwik, and Britannia Royal Naval College. Officer cadets took part in a programme of interaction during the vessel’s stay. All German officer cadets spend time onboard FGS Gorch Fock as part of their initial training. The ship is named after German writer Johann Kinau who wrote under the pseudonym Gorch Fock and died during the First World War. During its stay Hutton’s supplied the 90m long barque with fresh provisions for the ship’s crew of over 200, including more than 100 hungry cadets!